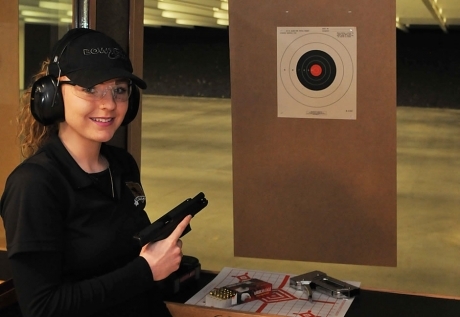 At Elite Shooting Sports we understand that women are the fastest growing segment in the shooting industry. We will do our best to make everyone who walks through our door feel comfortable and welcome no matter what their experience level may be. A good portion of our staff is comprised of female shooters and instructors. Whether you are comfortable in a coed class environment or prefer a “Ladies Only” class taught by an experienced all-female instructor group, you have a choice at Elite Shooting Sports. We offer “Ladies Night” with discounted range time and ranges designated for “Ladies Only” so that you can shoot in the environment of your choice. Elite Shooting Sports will host ladies only social events and special seminars geared towards promoting the shooting sports to women.